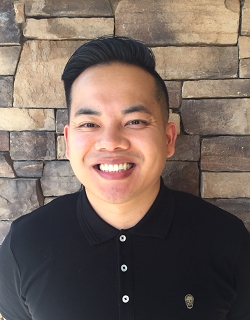 Dr. Phui was born in Reno and was raised in Las Vegas. He earned his undergraduate degree as a Biology Major at UNLV. Dr. Phui didn’t have to travel very far for his DMD degree, which he obtained at UNLV School of Dental Medicine. Dr. Phui is married and recently grew his family by one! Whether you need a routine dental care, cosmetic, Invisalign or Implant dentistry, he can fit your every need. Dr. Phui’s hobbies include bowling, playing cards with his family, and eating. I haven't been to the dentist in years. All of the staff was nice and understanding of my money situation. They offered to break what procedures I needed to be done up into payments. They aren't robots which is cool. One of the ladies told me stories about her life while I got my teeth deep cleaned. I'm just waiting to hear back about my OS referral. This place is awesome! I had a broken molar today and they were able to fit me in. Not only that, i thought I was going to have to extract my tooth due to not having the money to pay for a root canal and a crown BUT the dentist wasn’t having it. They made sure I was able to put a low down payment and break down my payment to a few months. When I left they finished my root canal and now just need to get my crown put in. Without them I wouldn’t have my molar and it would have been an issue to try to eat! 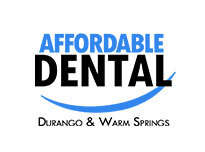 Thanks affordable dental you guys are awesome!! Thank you to the incredible staff and Dr. Haider for making my smile feel complete again. It was a 4 month long process but I'm finally happy and smiling again. I will keep coming back to see him, he does great work and is very respectable. Thanks Doc. They are the best!! Were able to get me in last minute for a deep cleaning. In and out in an hour and back home to recoup. Great for adults and kids alike. Can't say enough about the team that always makes us feel welcome! The staff is always friendly and cheerful. It's a great atmosphere to be in even when you might not want to be at the dentist. Great as always. These are the only people I let inside my mouth for good reason.